As one of the largest full service environmental and construction firms in the NY/NJ/CT Tri-State Area, American Petroleum Equipment & Construction Company, Inc. (APECCO) enjoys an unsurpassed reputation for completing construction projects on time, under budget, and in line with stringent personal safety and environmental security regulations. Our menu of construction capabilities is lengthy, starting with the removal, inspection and installation of underground chemical storage tanks, petroleum tanks, and oil/water separators. We are tirelessly thorough. Refined over decades of experience, APECCO’s set of industry best practices – enacted from planning through project completion – have led to long-term client relationships fostered through careful due diligence and quality execution. Right from the start, APECCO’s exacting budgetary and estimated price procedures alleviate cost overruns and help eliminate delay-inducing change orders that often result from inadequate planning or – even more prevalent throughout our complicated industry – insufficient expertise. Certified and OSHA-trained in a broad range of industry disciplines, our talented team of construction and service experts optimize new builds and site design improvements for all facilities and construction layouts. APECCO is fully bonded, insured and licensed, and utilizes wholly owned, state-of-the-art equipment – a factor that further adds to our precision and keeps costs down for our customers. Emergency services, including spill response and environmental assessments, are available 24 hours a day, 7 days a week by calling 845.778.5110. As an independent dealer to major oil companies such as Sunoco and Exxon/Mobil, APECCO’s set of deliverables includes repairs, installations, services, products, warranties, environmental analysis, remediation systems, 24/7 operational services and systems, air compressors, automotive lifts, lubrication and reel systems, electrical upgrades, waste oil tank systems and bay drain closures. APECCO is a leading provider of conversions from service station bays to convenience stores. We are an independent dealer to major oil companies, including Sunoco and Exxon/Mobil, and can handle projects as small as aesthetic kiosk upgrades at an existing gas station, to as large-scale as full design and development of a new convenience store. APECCO services a broad range of commercial properties, including apartment complexes, office buildings, automotive centers and industrial facilities (such as manufacturing plants and warehouses). 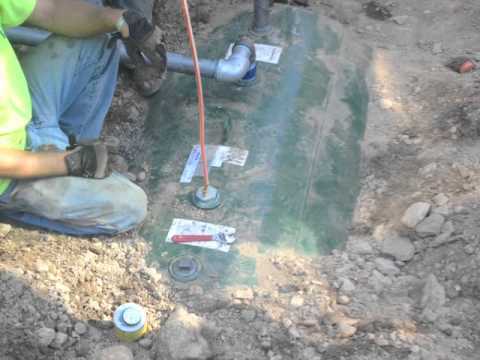 We specialize is the removal, inspection and installation of underground chemical storage tanks, petroleum tanks, oil/water separators, and complete generator systems. APECCO also provides projects and services for municipalities and institutions.